12.00-12.30 Talk: Henning Therkelsen, Timework: How to expose ’Agile Imposters’! See abstract for keynote and talks below. 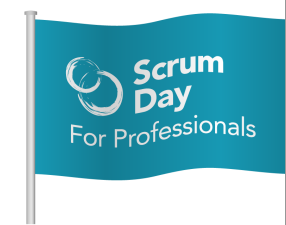 Talks at Scrum Day Denmark can be in English or Danish dependent on the speaker. What does an organization do to identify your agile competencies during an employment process? How can you identify the agile maturity of an organization during a job interview? As agile processes and tools are deployed across organizations the focus increases on the personal and professional competencies which enables ‘agile’. Obviously this also affects the employment process. Through a great number of interviews and recruitments we have a pretty good view of what organizations are looking for. On the other hand we also have some input to what you as a potential candidate should be aware of. You can find ‘Agile imposters’ on both sides of the table at a job interview. Soft and hard agile competencies in demand? What does an organization do to qualify your agile competencies during the hiring process? How can you assess the agile maturity and agile ambition of a team and an organization during a job interview? Since 2008 we have been working with agile software development teams, since 2014 with introducing agile principles to the portfolio level for the same teams. Many successes have been achieved and much has been learned. But a patterns keeps repeating: Just when everything seems to REALLY accelerate, the rules of the game changes. So what to do if your agile transformation is only for some 200 people out of 17.000? And if these “others”, including top management, do not speak code, but deeply care about the supply chain, developing inspiring LEGO models and how to produce awesome YouTube content? This talk is about how we try to spread the agile mindset in a company that doesn’t speak code, but understands the importance of setting creativity free.